While we are residential window cleaning specialists in Carmel but we also service Fishers and Westfield. we offer many other home maintenance services such as concrete sealing. 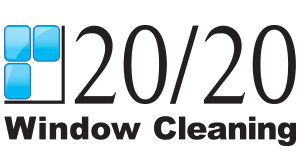 20/20 is a full service window cleaning and home maintenance company specializing in maintaining and beautifying your home. In addition to cleaning windows and screens, we clean gutters, we clean and protect decks and other exterior wood, and we clean many of the difficult to reach items in your house such as entry lights, other light fixtures, mirrors, ceiling fans, etc. 20/20 is both honored and humbled to have won a number of awards throughout the years. We are thrilled that our customers have thought highly enough of us to make it possible to have this honor so many consecutive years. We are a “Preferred Vendor” to the Indianapolis Medical Society. This society is made up of medical professionals in the Indianapolis area. By being nominated as a “Preferred Vendor,” medical professionals are recommending you to their peers. We have remained “Complaint Free” with the Better Business Bureau since our beginning. We provide unparalleled care to our customers’ home and property. We regularly exceed our customers’ expectations. Customers enjoy their experiences with us and regularly refer us to family and friends. In the event that there is a problem, we will communicate, follow-up and have a high sense of urgency in order to get it resolved. We use equipment and technology made specifically for residential window cleaning. We are not using equipment designed for commercial applications that can damage the home or scratch the glass.